Have fun being unplugged and love this outfit! Love your outfit! Such a great gameday look! 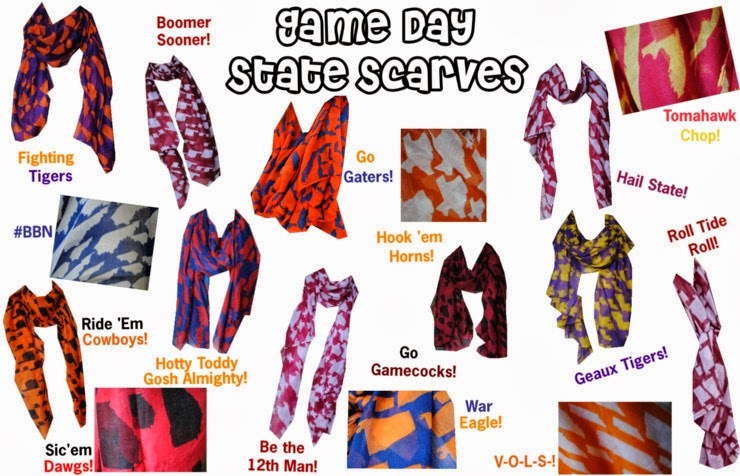 How fun are these scarves!!?? Thanks for sharing...your look is so simple & perfect for game day!! Oh, wow! Love the colors. Your scarf is fabulous. very pretty, fun look. Such a great color! I love mustard yellow, but it never looks good on me. Looks fab on you! I really love that dress--that's like my ideal casual dress--comfy, warm enough for a cooler day, doesn't wrinkle! Man, if I found one in exactly that style, I'd probably buy every color!